Experiential tourism constitutes an important means of encouraging the meeting and coming together of different cultures, their problems and potentials, especially in rural areas. Tourists get experiences completely different from their usual ones in big cities. They experience first-hand the rich cultural diversity of the rural communities. Participating in a vegetarian experiential tourism program in Cajamarca (Porcon Farm), North of Peru; programs in different communities of the Sacred Valley of the Incas, (Cusco- Peru), and also communities in the highlands of Ecuador or Bolivia; gives tourists the opportunity to enjoy the pristine nature of the highlands in the Andes, participating in different workshops for the benefit of the communities and increasing the income of local people, through sale of local products (handcrafts, improvement of tourism services, etc) as well as enjoying delicious vegetarian and vegan local food. Living for some time in these communities are unique experiences which enrich the life of visitors, eager to have intimate contact with the natural world of the Andes and its inhabitants. Visitors will share daily life, customs, festivals and the great variety of natural ecosystems, in this beautiful land, the fascinating and ancestral world of the Andes. 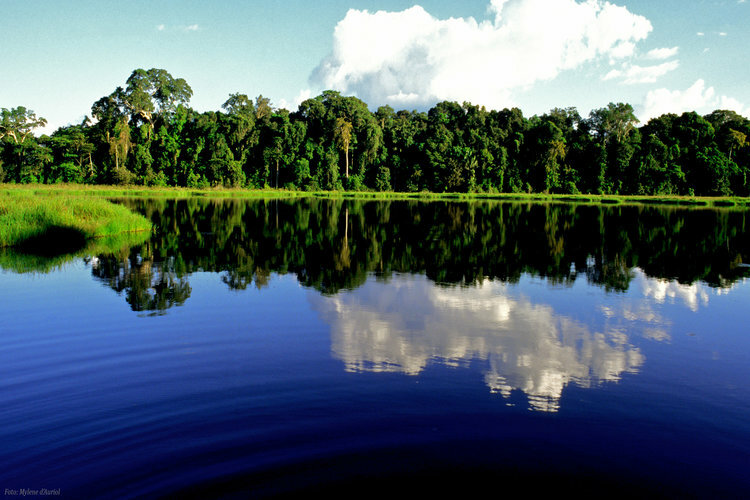 The Amazon River was named as one of the New Seven World Wonders of Nature list in the forests, national parks and nature reserves category. The Amazon River is the largest river of the world and its basin is also the largest drainage basin of the planet; since, it covers an area of 6 475 000 square kilometers (2500 000 square miles) in Peru, Brazil, Ecuador Colombia, Venezuela and Bolivia. The Amazon River releases an impressive quantity of water into the Atlantic Ocean, around 300 000 cubic meters per second. Because of this flood, the Amazon is the source of the 20% of the total volume of fresh water of the planet’s Oceans. The Amazon River basin supports also the most important biodiversity ecosystem of the world, the Amazonian Rain Forest, which is the home of around 70% of all known plant and animal species of the planet, including 300 species of mammals, 1700 species of birds, 3000 species of freshwater fish and trees as well as millions of insects, including 4000 species of butterflies. It highlights species such as the jaguars, macaws, piranhas, toucans, anacondas, turtles, snakes, alligators and many more. The Peruvian Government declared the Pacaya and Samiria River Basin as a Reserved zone in 1940 in order to protect the largest fish in the Amazon river system. In 1982 Pacaya Samiria was declared as National Reserve. It was created to conserve the species of plants and animal wildlife. Four different types of forests are found here, and a great variety of species of plants, such as Lupuna (Chorisia insignis), renaco (Ficus anthelmintica), caoba or mahogany (Swietenia macrophylla); orchids such as mosses, lichen, Elleamthus aurantiaca; Palm trees, such as Mauritius Palm or Aguaje (Mauritia flexuosa), yarina (Phytelephas yarina). 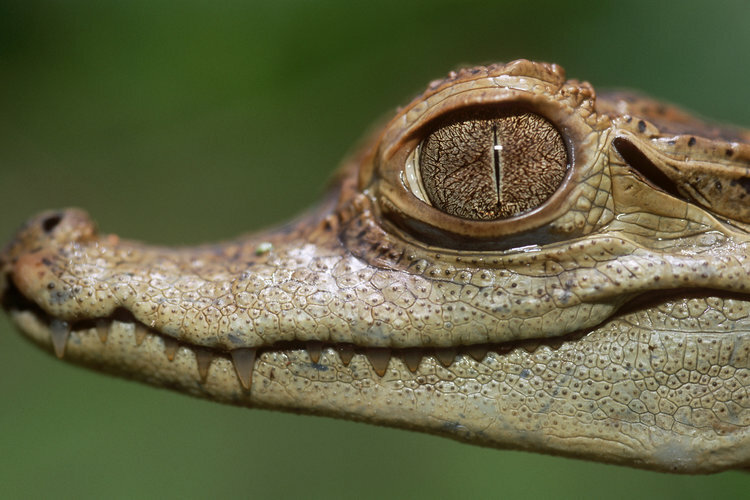 In Pacaya Samiria there are more than One hundred thirty two species of reptiles, one hundred thirty types of mammals, more than three hundred species of birds, countless numbers of amphibians, and huge variety of fish species that are the main source of protein for the local population. Many endangered species are found in this National Reserve such as the Black spider monkey (Ateles paniscus), wooly monkey (Lagothrix lagotricha), red howler monkey (Alouata seniculus), the pink river dolphin (Inia geoffrensis), the gray estuarine dolphin (Sotalia fluviatilis), two species of turtles: Taricaya (Podocnemis unfillis), giant charapa (Podocnemis expansa), manatees (Trichechus inunguis), giant otters (Pteronura brasiliensis), and the black cayman (Melanosuchus niger). A large variety of fish species that can be found here, such as: the world’s largest fresh – water fish (Paiche arapaima gigas) , weighing four hundred pounds, and about three meters long: Pacu (Myleus setiger) thirty pounds, gamitana (Colossoma bidens) one hundred twelve pounds, tucunare (Cichla Ocellaris) eight to ten pounds, and acarahuasu (Astronotus ocellatus) three to five pounds. Within the group of mammals, we can find the most common felines , the jaguar (Panthera onca), ocelot (Leopardis pardalis) and margay (Leopardus wiedii). The most abundant type of mammals are the rodents, an example of these are the ronsoco or capybara (Hydrochoerus hydrochaeris). Finally, we find in Pacaya Samiria a great variety of birds species such as: toucan (Ramphastos cuvieri), blue and yellow macaw (Ara ararauna), tabaquero (Pteroglossus castanotis), Scarlet macaw (Ara macao), tuqui-tuqui (Jacana jacana), green hummingbird (Amazilia lactea), among others. 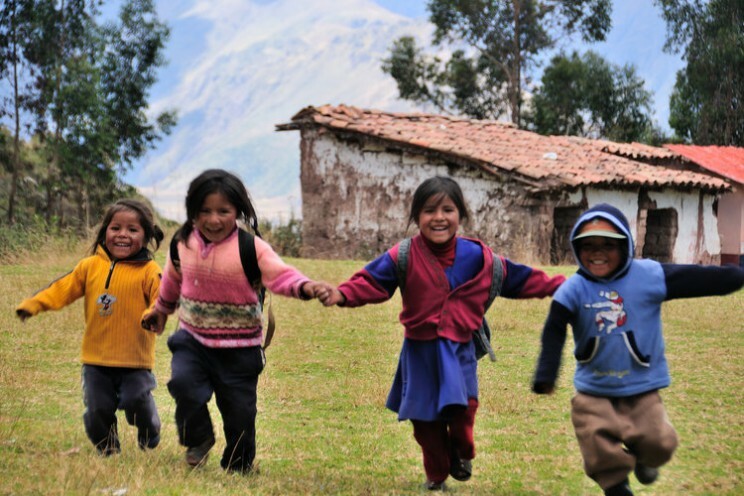 Peru has approximately 29 million inhabitants.The Peruvian Society is an authentic melting pot made of native Andean, Spanish (Criollos and Mestizos), immigrant Chinese, Italians, Japanese, Afro Peruvians and Indigenous Amazon tribes. During the colony, the Criollos were the Peruvian born of Spanish parents and the Mestizos were children of intermarried parents (Spanish and local). The Peruvian black community is mainly based on the coast, south of Lima. The original immigration from Africa was back in the 16th century, when they came as slaves to work on the sugar and cotton plantations. The Chinese first arrived in Peru during the mid 19th century to work in the guano islands and the railroads of the Andes. The Japanese community, one of the largest in Latin America (more than 100,000 people), established in Peru during the first half of the 20th century. Many immigrants from Europe arrived in Peru in the late 19th century and they now constitute the most important economical and political power in the country, keeping a clear distance from the Native Andean and Indigenous population. There is a large percentage of Indigenous population in Peru. The main groups are Quechua (two million people who speak little or no Spanish, their main tongue being Quechua). They are descendants of the Inca Empire, predominantly an agricultural society of the highlands in the Andes, growing potatoes and corn as their basic diet. On the shores of lake Titicaca, the southern area of Peru border with Bolivia, is the homeland of the Aymara people. 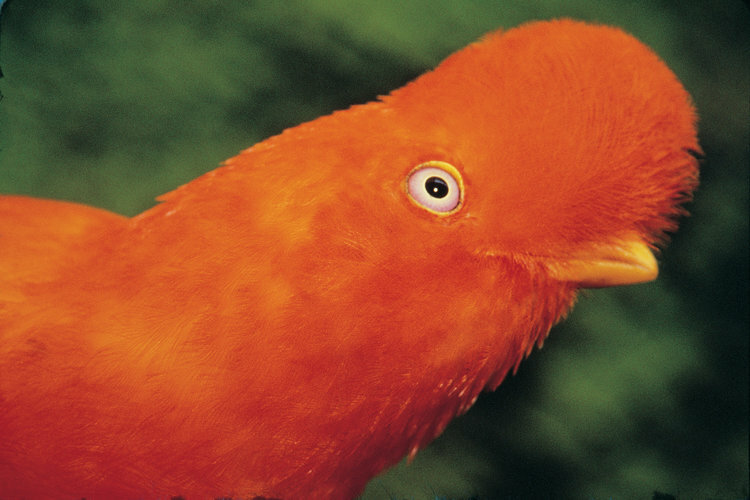 Most of today´s Aymaras live in Bolivia and the south western of Peru. The Aymaras are a religious community and also give big importance to the family. VEGGIE TOURS organizes vegetarian and vegan tours and vacations where you will be able to mingle with local communities and participate with their culture. 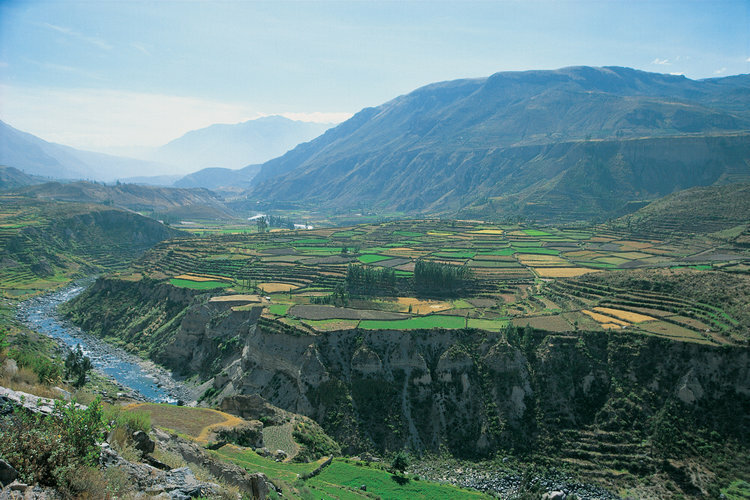 The spectacular Colca Canyon is at least twice as deep as the Grand Canyon. About 150 Km NW of Arequipa (4 hours), crossing the Salinas and Aguada Blanca reserve is the town of Chivay, starting point to explore the canyon. The climate is dry in the valley, with sunny days and cold nights. The rainy season is from November to April. The Colca Canyon is a massive geological formation made by the Colca River as it finds its way between the mountains made of volcanic material. 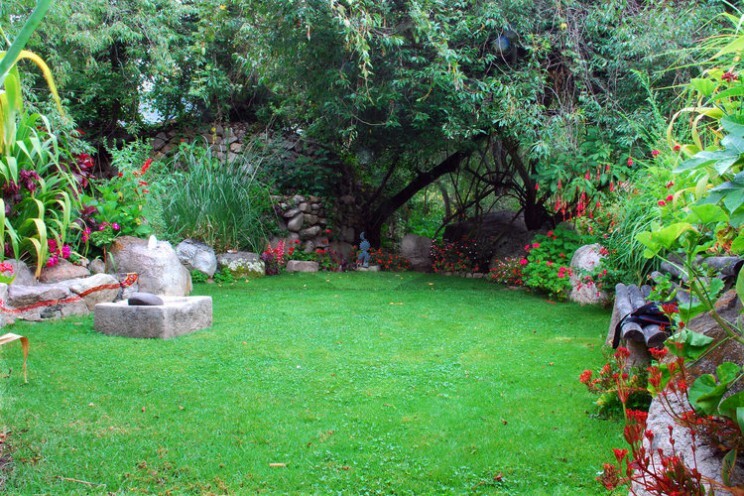 The greatest attractions to the tourists are between the town of Chivay and the Cruz del Condor near the town of Cabanaconde, about 60 Km distance. Then comes the town of Achoma, Maca, Pinchollo and finally the Mirador or Cruz del Condor, the deepest point of the canyon, where the majestic Condors can be seen, rising from the mountains. The last town in the Colca Canyon is Cabanaconde, a typical village about 20 minutes from Cruz del Condor. Wonderful Vegetarian and Vegan Tours can be taken in order to enjoy this awesome destination with 100% Veggie meals. Potato: The Tuber that Saved Mankind from Famine. 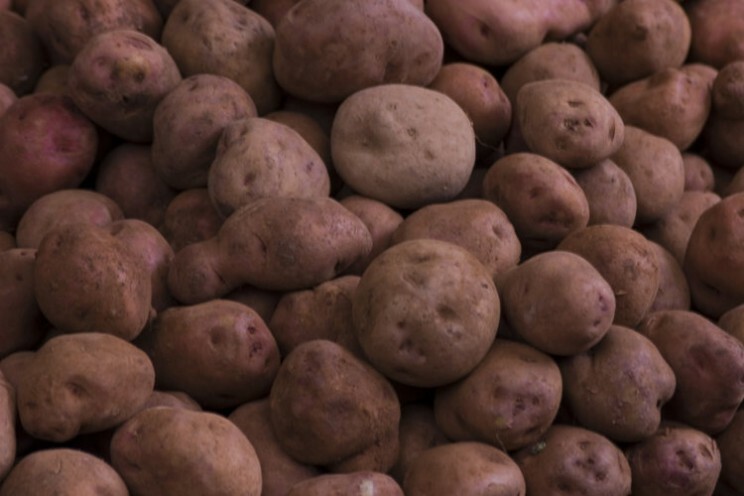 The potato (Solanum tuberosum), a tuber that originated in the upper part of the Andes in Peru, has served as a foodstuff for humans in the last 8,000 years. However, it was not until the Spanish took samples of the potato to Europe in the sixteenth century that it became a universal food. In fact, less than a century after the potato was brought to the Old World, it turned for mass consumption, and during the industrial revolution proved to be a key energy source for the working class. Today, the potato is a very important source of protein and starch for vegetarians and vegans. According to ancient legend, when the mythical founders of the Inca Empire, in old Peru, Manco Capac and Mama Ocllo, emerged from the cold waters of Lake Titicaca, the first thing that God taught them was to plant potatoes. Possibly due to this ancient origin, farmers in the Andes have developed a number of varieties that have adapted to all climates. Today, scientists have identified more than 4,000 potato varieties, many of which, as the yellow potato (papa amarilla or papa huayro) are found only in Peru. In fact, Peruvian potatoes are considered unmatched in flavor and texture. 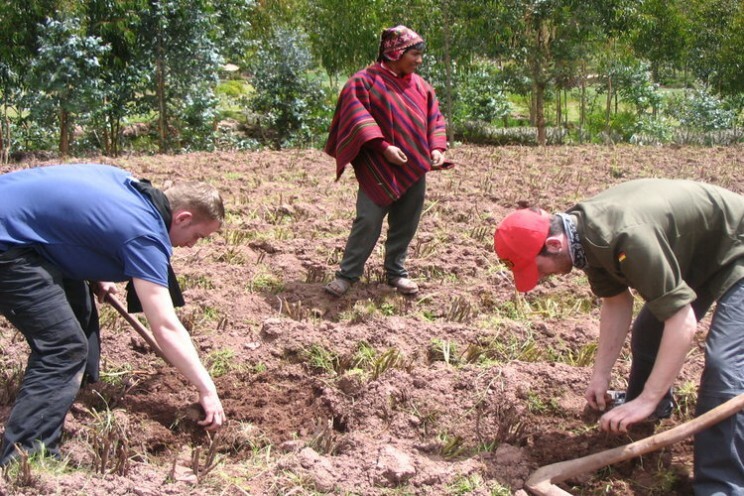 The mighty Inca culture revered the potato not only as a staple food but as an icon. Vegetarians and vegans who travel to Peru delight themselves in many delicious dishes based on several varieties of potatoes, including the famous “yellow potato” or “papa amarilla”. The annual diet of an average global citizen in the first decade of the twenty-first century include about 33 kg of potatoes. However, the local importance of the potato is rapidly increasing. It remains an essential crop in Europe (especially in Central and Eastern Europe), where output per capita is still the highest in the world. However, a faster expansion in recent decades has occurred in South and East Asia. China is now the world’s largest potato producing country, and nearly a third of the world’s potatoes are harvested in China and India. In general, the potato production has shifted away from richer countries to low-income areas of the world. In the famous tourist destinations of Cusco, Machu Picchu, Lake Titicaca, La Paz and Quito many restaurants offer wonderful recipes of potatoes and corn to vegetarian and vegan visitors who travel to Peru, Ecuador and Bolivia. Iquitos: Capital of the Department of Loreto. Located on the West Bank of the mighty Amazon River, considered to be the longest in the world and with the greatest volume of water. Iquitos is an isolated city by road. It can be reached only by air or river. Founded in 1757 as San Pablo de los Napeanos by the Jesuits. However, Iquitos did not grow until the rubber boom in the late 19th century and early 20th century. A great wealth came from the extraction of latex. Today, Iquitos is the center for exploration of oil in the Peruvian Amazon. Also its of big importance the lumber industry, ecotourism and commerce. Warm, humid and with a heavy rainy season, Iquitos has a typical tropical climate. The best time for visiting is from May through October, when the rains diminish due to the dry season. Puerto Maldonado: Capital of the Department of Madre de Dios, located at the confluence of the rivers Tambopata and Madre de Dios. Puerto Maldonado is considered as the biological capital of the world due to the amount of plant and animal species found in this area. The climate is tropical, very humid and warm, with the rainy season from December through April. That is why, it is better to visit from May through November. Puerto Maldonado is the starting point for visiting the rainforests, some of the most beautiful protected areas in the country, including Manu National Park, Tambopata Candamo etc. Miraflores, a Modern District in Lima, Peru. 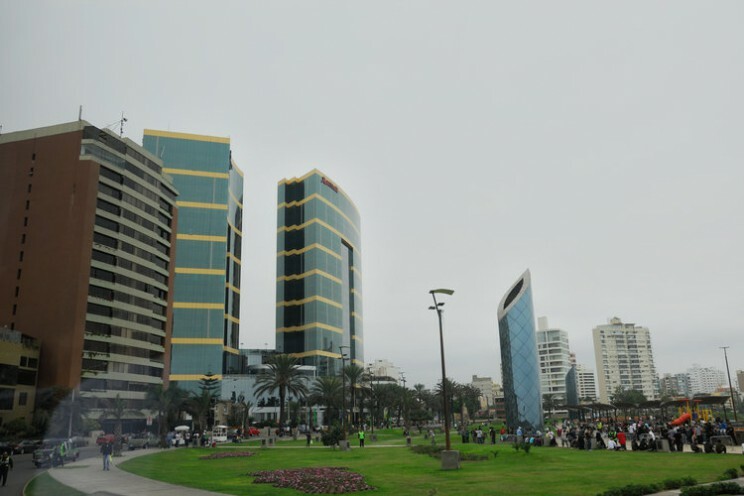 It is considered as one of the modern districts of Lima, colorful, with very nice green areas, shopping, entertainment centers, fine restaurants and five star hotels. The beautiful Parque Central or Parque Kennedy of Miraflores is colorful and well kept with a lot of activity and a crafts market in the evenings. Across from the park, the Pizza street, a pedestrian walkway full of outdoor restaurants, bars and discotheques. “Larco Mar” constitutes one of the most modern and impressive Commercial Centers of Lima, with fancy shops, restaurants, movies and entertainment centers and a fantastic view of the Lima Bay. Facing Larco Mar is the Lima Marriott, a five star hotel with more than 300 rooms facing the Pacific Ocean, a beautiful view of the entire Lima coast line. In Miraflores you can find excellent options for vegetarian cuisine, like the Bircher Benner, located in Larco 413, just facing City Hall and the new Almazen, with delicious organic vegetarian plates located in Recavarren 298 ( at Berlin). Vegans and Vegetarians who travel to Peru, Ecuador, Chile and Bolivia have great alternatives of vegetarian meals with high nutritional value, including fantastic fruit, nuts many varieties of potatoes, and wonderful cereals. 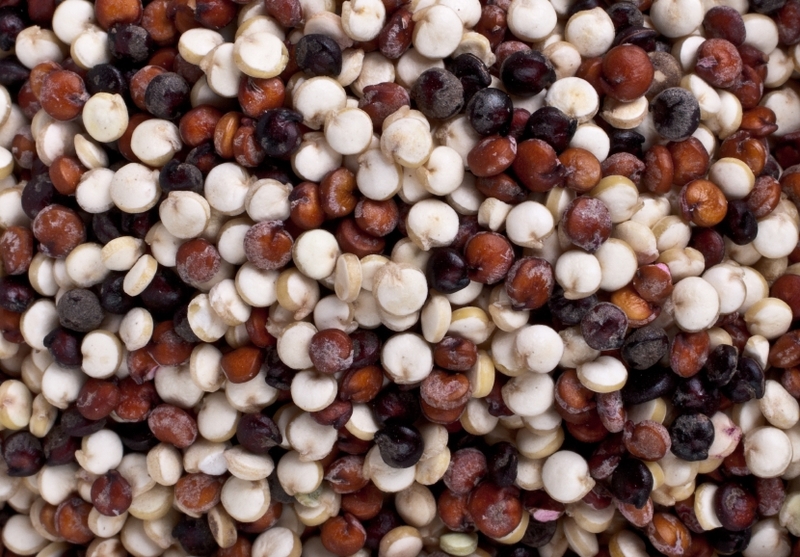 Among the Andean cereals we find kiwicha (amaranth), kañiwa and quinoa which was the staple food of the Inca, (the king of the Inca culture) and considered a sacred and principal crop in the Andes. Quinoa is produced mainly in the altitude of the Andes starting at 8,000 feet. The main producers are Bolivia, Peru and Ecuador. The nutritional value of quinoa is comparable to breast milk. It is a complete food, balanced and far superior to animal foods like meat, milk, eggs, fish. Quinoa is easily digested, a natural source of vegetable protein, and of high nutritional value. Quinoa with a protein content of 16 to 20% contains 20 amino acids, including the 10 essential that the body can not synthesize and must be obtained in the diet with an exceptional balance of protein, fat, oil and starch, and a high degree of amino acids.